Has 149 recipes, 8 public recipes. Has 318 flavors in inventory. 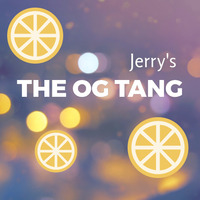 Jerrysnaps supports All The Flavors. Upgrade yourself. It's like Mustard Malk but in some ways better, Some ways worse. 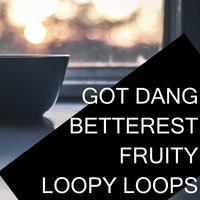 Just a quick and simple fruit loops mix. Cap Fruit Circles SL is the dream. 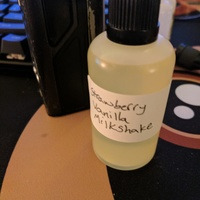 Originally when I bought this flavor I expected to do more with it. 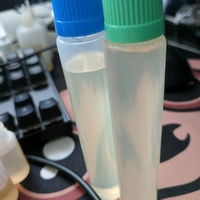 Instead I went through the 10ml in less than a week with just this. A 4oz later this is still the current ADV. Shyndo asked me to make a brown butter ice cream. After a couple of attempts, I ended up really happy with this. Had to keep it simple. FW Butterscotch Ripple/FLV Milk & Honey/TPA Bavarian Cream - This formed perfectly the "brown" side of the brown butter, while helping out the creamy ice cream angle. FLV M&H really plays the star of this group, besides giving Matthew Kocanda the "O face", really bringing out some of those carm and butterscotch sweet notes, as well as the three of them making a nice amount of sweetness. Cap VBIC/HS Ice Cream - The ice cream base, where these two work perfectly to help boost the butter notes depth, while adding a solid cream background with out too much vanilla. Along with the ripple, and the butter cream, and bav cream, we get into that nice ice cream city (it's better than flavor-town, aight). Cap Golden Butter/Cap Buttercream - The best way I could think of adding a heavy butter note, that isn't utterly offensive. They combine, along with the HS, to get it nice and buttery. All in all, I'm really happy with how this came out. It's not spot on brown butter ice cream, but god is it good. A solid, slightly dense, carm butterscotch buttery cream. Lets be real. We've talked about it on BLND and Beginner Blending. I'll stop being lazy. 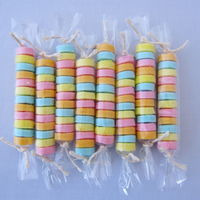 It's Sweet Tarts. True to the name. It's easily the most authentic profile I have ever made, down to the chalkiness. It's just an amazing candy vape, and is spot on Sweet Tarts. The Mocha candy I made on an episode of beginner blending. 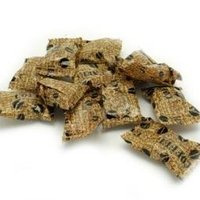 It works pretty well as a heavily coffee bon bon type candy. The chocolate blends in with the coffee bon bon, and leaving a nice mocha flavor. It ended up being a pretty solid coffee mocha bon bon like the type in the picture. The NYC can be a little much for me after 3 days, but I still think this is Skids best.